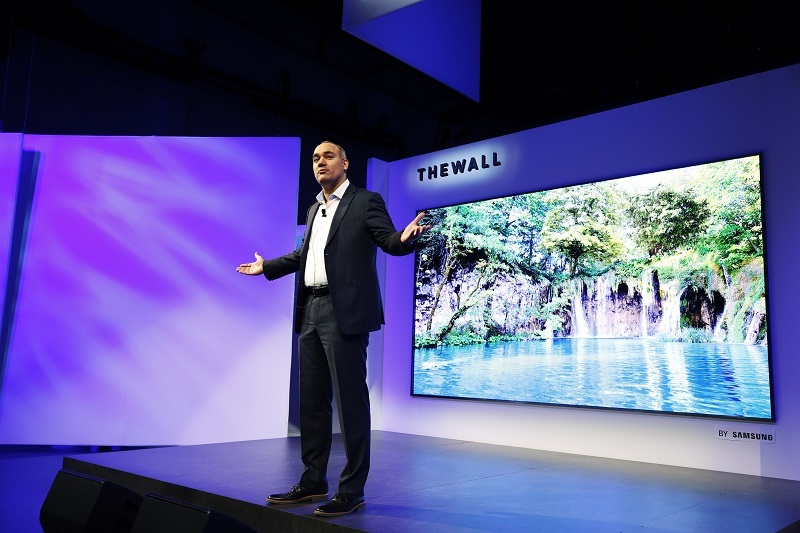 Samsung Electronics introduced the world’s first consumer modular MicroLED 146-inch TV at its annual First Look CES event. The modular MicroLED 146” TV display which is self-emitting has been featured with company’s latest discoveries in the display technology. This is really going to be a trendsetter in the arena of display gadgets and it also reminds us on how the technology has evolved over the past couple of years so fast. At Samsung, we are dedicated to providing consumers with a wide range of cutting-edge screen experiences. As the world’s first consumer modular MicroLED television, ‘The Wall’ represents another breakthrough. It can transform into any size, and delivers incredible brightness, color gamut, color volume and black levels. We’re excited about this next step along our roadmap to the future of screen technology, and the remarkable viewing experience it offers to consumers. The MicroLED technology incorporated in the The Wall disregards the requirement for backlight or color filters. Still the screen will make sure to offer an ultimate viewing experience. In terms of effectiveness and durability, the MicroLED screen is truly a winner. It also sports luminous efficiency, light source lifetime and power consumption, setting the standard for future screen technology. As the The Wall packs a bezel-less design, it reminds us of the shapes and sizes of the television screen according to our needs. Samsung CJ791 QLED Monitor Thunderbolt 3 connectivity announced ahead of CES 2018. Stay tuned with our CES 2018 event to know the latest happenings surrounding the event. 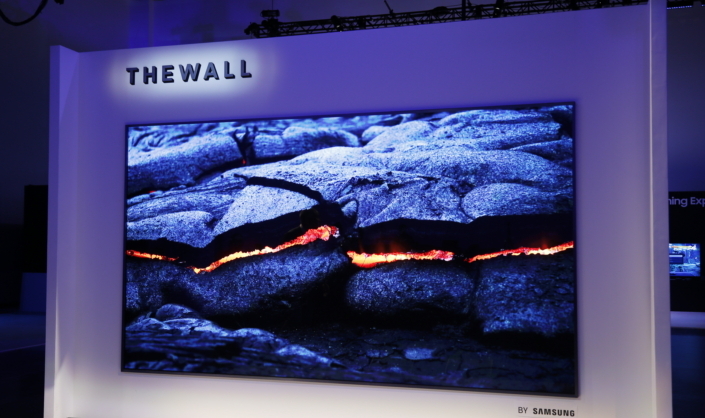 What are your views on the Samsung’s latest innovation The Wall Modular MicroLED 146 inch TV? Share us your views in the comments section below. Stay tuned with our CES 2018 event to know the latest happenings surrounding the event. For more similar latest updates, also stay tuned with our NEWS section.